Provo City School District uses the Utah Core Standards to provide clear expectations regarding student learning and to guide the content and skills that every student needs to be college and career ready. Utah has two sets of Standards for Mathematics: The Standards for Mathematical Practice and the Standards for Mathematical Content. These math standards inform teachers what students will achieve at each grade-level. While the content and depth varies from grade to grade, the math practices are the same across grade levels. 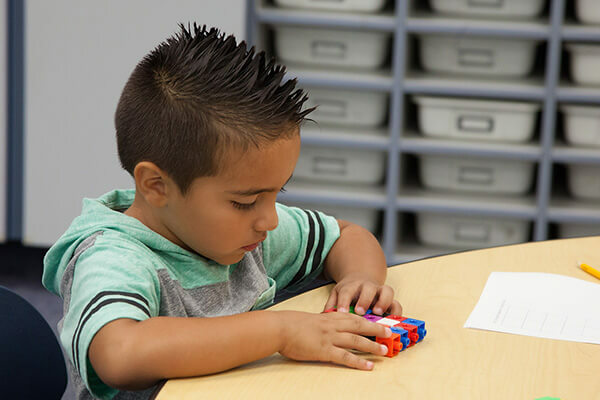 Provo City School District’s goal for Mathematics instruction is a proper balance of conceptual understanding of how mathematics works, and a firm understanding of algorithms and procedures that will help students be more effective and efficient at computation and problem solving. We also desire that our teachers and students develop confidence and certainty in the realm of mathematics in general. The teacher plays a pivotal role in making professional judgments to balance skills and the understanding of concepts.